Ladybird Tuesday has become a bit lost over the last few weeks. So much has been going on here and my head has been so busy digesting everything I’ve been discovering about where I want this blog to go that I just needed to park it for a little while. It’s definitely not going away though, especially since I found myself really missing my weekly look at all things vintage Ladybird related. The lovely Becky from Thrifty Home (and several other amazing blogs!) pinged me on Facebook last week and revealed that she had a few Ladybird books that were in a pile to take to the charity shop and asked if I would like them instead. Is the Pope a Catholic? 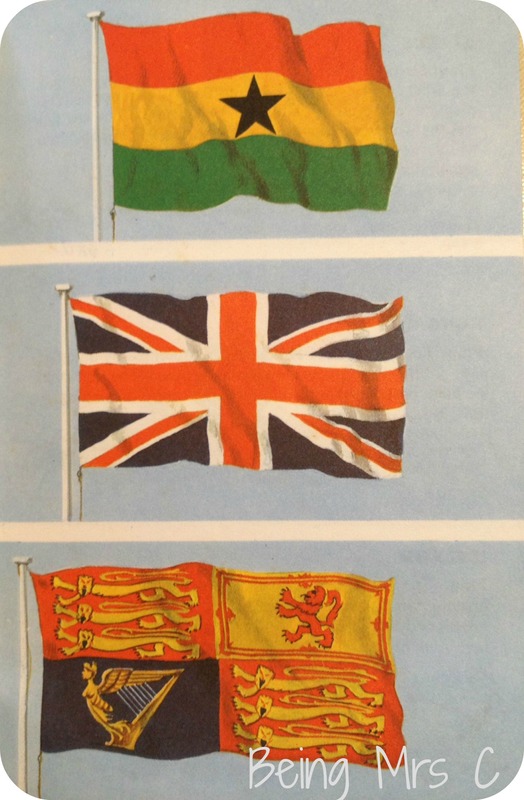 So, this week on Ladybird Tuesday I’m delighted to bring you one of those books, A Ladybird Book of Flags from series 584 which was titled the “Recognition” series. 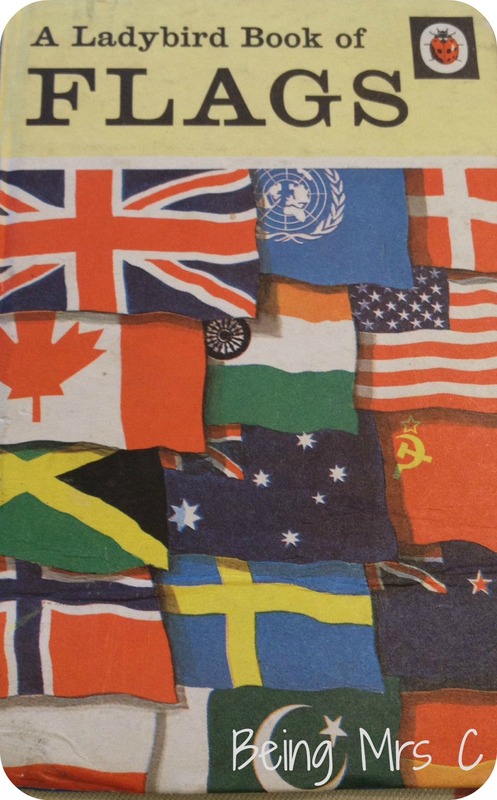 It is very much as the title suggest a book of flags. With beach right hand page featuring pictures of three flags and then the left hand page details the three countries that the flags are for. Although they are not all just country flags as also included are the Royal Standard and the flag of the United Nations. 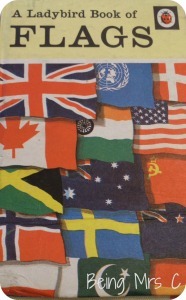 Originally published in 1968 there are several flags included in this book that don’t exist any more, or that have changed significantly. 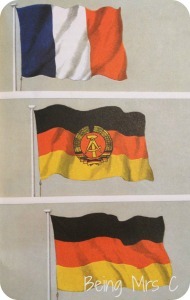 There are two German flags (East and West Germany) and Russia still shows the USSR’s hammer and sickle. It’s also interesting to think that the Union Jack may have changed significantly had the Scottish independence referendum ended differently the other week. Whilst this book may today not have the same factual value due to its age, it is a fascinating snapshot of the world as it was at the time of publication. It’s also great for me to test out the pub quiz question of which country has a flag that doesn’t contain one or more of the colours red, white or blue. The quizmaster swore there was only one. I’m no longer convinced, but let’s see if you can come up with the answer. Glad to see Ladybird Tuesday back! I definitely remember the Flags book from when I was little, in fact I think I may still have it. It’s a great reference guide, at least for that point in history anyway! I’ve been taking part each week but I sometimes forget to link up (I had lots of posts scheduled in advance!) and this week it’s Sea and Air Mammals http://www.jenniferslittleworld.com/2014/10/ladybird-tuesday-sea-and-air-mammals.html I’m away for a couple of weeks now but the posts should still appear on my blog as if by magic each Tuesday!